A place for bargain shoppers. A fun item from Gene Darcy and his “Stoires of the Queens” traveling store. Darcy bought all sorts of items from scrapped ships … and the made plaques, lamps, bookends at the like. He also offered items that were not authentic .. but this faucet is certainly not one of those items. 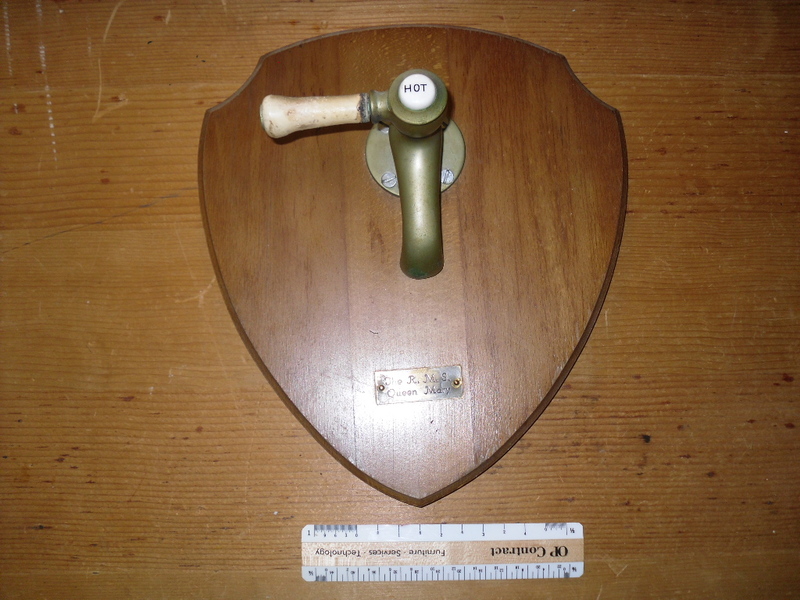 Many of the cabins and loos aboard QM still have these as working faucets today! I know a guy in Texas that has 100s of these things … I firmly believe he is trying to reassemble each ship bit by bit! 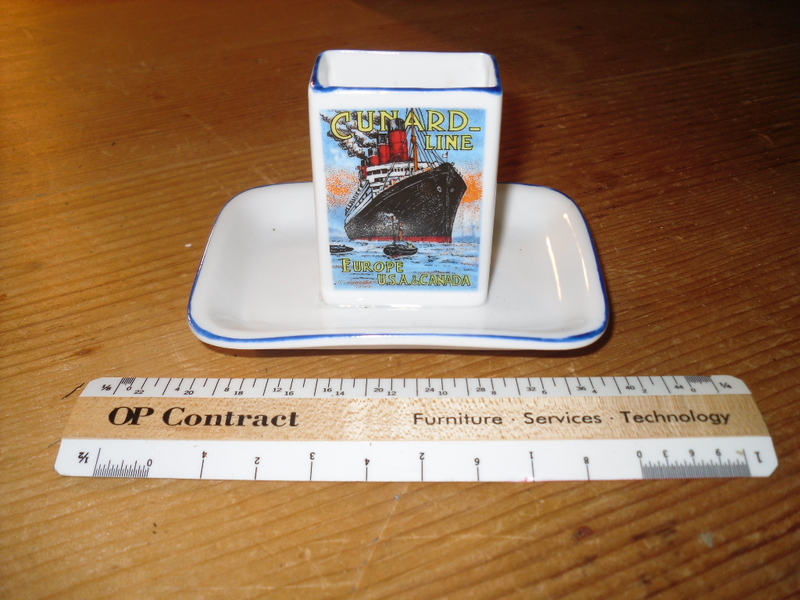 Here is an interesting reproduction matchholder showing the Aquitania. I am not sure where this little baby came from … but probably was bought onboard a “Hotel Queen Mary” gift shop. Cute little gal! 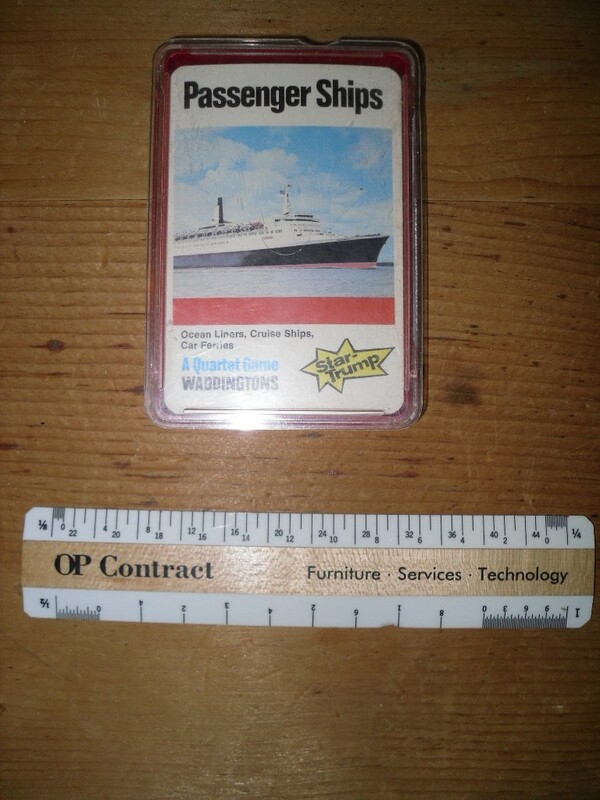 Ocean Liner flash cards: Nice little set of cards for ocean lienr and cruise ships of the 70’s and 80’s. 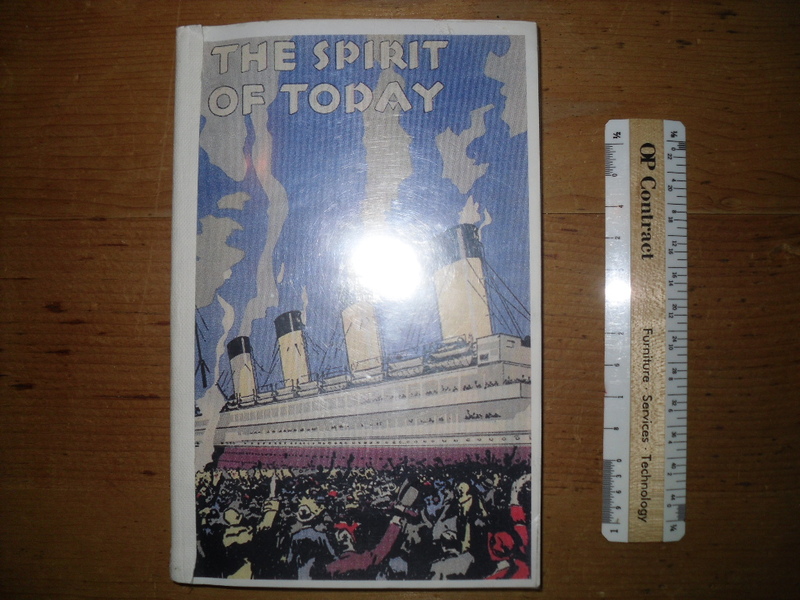 Amaze your ocean liner friends with the trivia facts and figures! These are opened and in great shape.